My view is that they are different. I see Dan 7 as a subset of Dan 2. I see the four in Dan 7 being the fourth kingdom in Dan 2. Why? Well the third kingdom in Dan 2 is broken into four parts which no one points out or clarifies, The four in Dan 7 are not named, the four in Dan 7 come up from the sea and appear to come up together. Thoughts? Re the fourth kingdom, 'the bronze kingdom', This plainly refers to the Greek conquest of the known world under Alexander. When he died, it was divided into 4 kingdoms. That is all history. But the 'fourth beast' of Daniel 7:23, is a prophecy still in the future, where a powerful man will rise to become the dictator of the whole world. You mean the third kingdom of Brass, right? Are you saying the four division s are the lion, bear, leopard, and beast? The Daniel 2 Prophecy is given to Nebuchadnezzar, and pertains to ancient kingdoms, clearly the 3rd Kingdom is Greece, the 4th is Rome, and the clay kingdom is some time after Rome and probably extends to modern times. the Daniel 7 prophecy is given in a dream to Daniel, and with regard to a distant time. All four kingdoms work together in that time. It is blithely assumed that the two sets of kingdoms match and they don't. The evidence of Bablyon being associated with a Lion is weak. The evidence of Persia being linked to a Bear doesn't exist at all. The evidence that Greece was a Leopard does exist either. And a kingdom that has always been connected to the "Bear" is Russia. Additionally, when Russia transitioned into the Communist Empire it devoured an astounding number of lives in the purges, well over 20 million people were killed, which is astonishing. A kingdom that does have an affiliation to the Leopard is Germany, which was indeed swift in warfar (Blitzkrieg attacks) and had a massive airforce. It's military superiority at that time is unquestionable. Germany only fell due to the arrogance of Hitler, not for lack of its military. The final kingdom is made up of all these kingdoms, just as we see today. Britain, Russia, and Germany are the main powers in Europe and the EU. China and the USA are not mentioned but they don't need to be because the final beast is a hybrid of all world empires that defies the law of God. I hold to the comparison between the Dan 2 and Dan 7 kingdoms because I've heard it interpreted that way since the early 1970s. And it's always made sense to me. Joseph received 2 sets of dreams confirming his version of the years of famine (Gen 41). And here it seems Daniel receives 2 sets of dreams, one through Nebuchadnezzar and one through himself, confirming a series of kingdoms beginning with Babylon. If we begin with Babylon, the "head of gold" in the 1st dream, then it seems logical to deduce a series that runs like this: Babylon, Persia, Greece, and Rome. This is just common sense. But why should we not think the same thing of the 4 kingdoms in Daniel's own dream in Dan 7? He is still living in the time of Babylon. The wings torn off and being made more like a men seems to resemble Daniel's own account of Nebuchadnezzar's humiliation in Dan 4. There, Nebuchadnezzar was a tree reaching among the birds, and was reduced to an animal, with hair like bird's feathers. So I should think the lion with eagle's wings was the Kingdom of Babylon, comparing with the 1st Kingdom in Dan 2. And the succession of kingdoms would then be the same in Dan 7, if the 1st Kingdom is the same as the 1st Kingdom in Dan 2. Some here argue with the symbolism of these kingdoms--namely Aijalon and ForHisglory. And that's fine--we all have our own views. I have especially held to Aijalon's view that the Bear associates with Russia, and the Lion with GB. However, I no longer emphasize this, since I want to focus on the intent of Daniel--and not some kind of modern equivalent. I also agree with Aijalon that GB, Germany, and Russia are major players in Europe, though certainly not the only major players--just the most powerful players. Again, I'm just focusing on what Daniel referred to. The bear does connect to Persia because it was a major land power, comfortable with its standing in that part of the world. Greece was a sea power with fragmented land, and had to be very mobile to maintain control of land and sea. This mobility is more characteristic of a quick-moving leopard. Rome was simply overwhelming, and as such was an indescribable animal. The 4 divisions of Greece was the natural after effect of the dissolution of an exported power like Alexander's Kingdom. Two of the more important divisions were Syria and Egypt. But the original land of Macedonia/Greece remained under its own control. And there was also Turkey, into which Alexander had extended his power. Of great interest to Daniel was the conflict between Antiochus of Syria vs the Ptolemies of Egypt. Preventing Antiochus from fulfilling his vision of conquest over all the Middle East was Rome. And Rome became the empire into which Jesus was born and fulfilled his messianic mission. The future consists of the evolution of the Roman Empire into European Civilization, which has been dominated by Christianity for centuries but which now is reverting to ancient Roman paganism. Yes, in Daniel 2:39, the Grecian kingdom was the third, but the statue that Neb. saw had him as the head, whereas the Assyrian Empire preceded the Babylonian. But the fourth awaits the end times as described in Daniel 7:23-26 and Revelation 13:1-8 - which will be a combination of all the previous ones, controlling the whole world and forcing people to take its mark, or die. Major difference between Joseph and Daniel is that the dream was given to Pharaoh not Joseph, and Pharaoh had the ONE dream with two versions of the same thing. However IN Daniel 2 the dream was given to Nebuchadnezzar as a single dream, and in Daniel 7 was a different dream given to Daniel, 50 years later, when MOST of the 1970s expositors of prophecy have Nebuchadnezzar completely out of the picture (dead in 562 BC). So why anyone would expect them to be saying EXACTLY the same thing is a bit bizarre. In fact in Dan 7:17 we are told that the beasts are FUTURE kingdoms which are to arise. 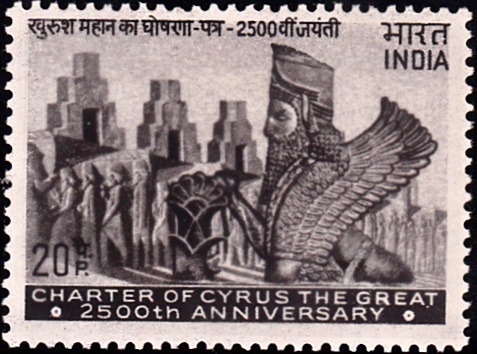 This dream was given around 553 BC, and Cyrus burst onto the scene that year (553) and defeated the Medes by 550 BC. So it makes sense for the first beast to be the combined Medo-Persian kingdom which was going to come. Not at all "bizarre," since these two dreams are both dreams written in the same book by the same author, and only separated by a few pages! Since it was the same author, the 1st Kingdom was likely the same 1st Kingdom in both chapters. It doesn't matter if Nebuchadnezzar was dead by the time of the 2nd dream. Babylon was still the 1st Kingdom from Daniel's pov. Notice that in Dan 7 we have a pretty good look at the identification of Nebuchadnezzar in vs 4. The eagle's feathers and humanization of the 1st Kingdom relates back to Nebuchadnezzar's tree of pride, reaching up to the birds of heaven, before he is humiliated. It may make sense to you, but it completely distorts the order of the 4 kingdoms of Daniel, which *began* with Babylon. And this completely confuses the biblical portrait of pagan kingdoms arriving at Rome, when Messiah is killed, and the Romans destroy the temple. Symbols that nations adopt are less significant than how God characterizes those nations. The Babylonians utilized the griffin, as well as Persia. It is purely arbitrary for you to assign the griffin to Persia, instead of Babylon. Since Nebuchadnezzar, and Babylon, were the "head of gold" in Dan 2, I would think that the powerful lion would accurately portray the dominance of the Babylonian Kingdom? The bear would more accurately reflect the habits of a an established land power like Persia. The bear is more of a one on one solitary fighter, and an omnivore. On the other hand, lions can fight in prides, and are strategic carnivores. This would better characterize the more unstable regime of a strong power in the Fertile Crescent, where competing powers are constantly gaining and losing territory. Not at all "bizarre," since these two dreams are both dreams written in the same book by the same author, and only separated by a few pages! So because it is a few pages there is NO difference? Whilst it may be a few pages to you, Daniel lived 50 years. Are you really saying a dream that God gave to Nebuchadnezzar, was then simply repeated 50 years later and that nothing had changed? Since it was the same author, the 1st Kingdom was likely the same 1st Kingdom in both chapters. It doesn't matter if Nebuchadnezzar was dead by the time of the 2nd dream. Babylon was still the 1st Kingdom from Daniel's pov. From Daniel's pov the Babylonian kingdom was NOW, but in the dream the 1st beast kingdom is one that shall arise - IOW it has not yet risen. Therefore Daniel, like everybody else in the world would NOT equate a CURRENT kingdom, with a kingdom which is going to come. Absolutely TOTALLY disconnected from Nebuchadnezzar. Verse 4 does NOT speak of Nebuchadnezzar. What do wings speak of in the SAME vision in reference to the Leopard? Are you going to say that the four wings speak of the SAME thing? Of course there is a relationship between the Leopard having four wings and the lion having eagle's wings. However the picture is of Cyrus, who went around and rapidly conquered a great empire, including not only the Medes, but also the Lydians and the Babylonians. It wasn't until Alexander that a kingdom was conquered so quickly. Wings speak of speed of conquest for both kingdoms. Yet after conquering Babylon, then Cyrus starts his emancipation acts, and this connects to the heart of a man when he returns Israel to the pormised land and speaks the words of God, being a shepherd to God's people as prophesied by Isaiah. No it doesn't distort the order in the slightest. It is by applying a paradigm which doesn't fit which leads to a distortion. The 4 beasts is a DIFFERENT vision to that of the 7 kingdoms in Daniel 2. Actually, no the Babylonians did NOT utilise the griffin. It isn't arbitrary. Have a look at the Ishtar gate, it had Lions for Ishtar, Auroch (bull) for Ada, and a Dragon (with eagles rear legs) for Marduk. Some things are incorrectly claimed to be Babylonian when they are later Persian. It wasn't a lion, but a griffin. In Zoroastrianism (the religion of Persia) which started around this time, likes to give people and animals wings. The bear doesn't reflect on Persia in any way. Rome is normally connected with a Wolf, but a Bear was also a favoured alternative. The 3 ribs of the bear, and its eating speaks of conquests of Celts, Greeks and Phoenicians. However you simply need to read what is stated in scripture to KNOW that the Babylon kingdom is NOT in view in Daniel 7. One man's lifetime in history is very short--a second in time. No, this is not my only argument, that a few pages make all the difference. But it is evidence that Daniel viewed the whole of his ministry as summarized in just a few chapters. As empires go, 50 years would not be of overwhelming significance. Daniel interpreted dreams in the reigns of Nebuchadnezzar and Belshazzar. They were both Babylonian kings. Thus, the 1st Kingdom in Nebuchadnezzar's dream and the 1st Kingdom in Daniel's dream were the same Kingdom. I think Daniel was only given to understand that all 4 kingdoms originated from the sea. I don't believe it was placing the beginning of the 1st Kingdom in Daniel's future. I already pointed out the similarity between the humanization of Nebuchadnezzar and the humanization of the 1st Beast of Dan 7. Nebuchadnezzar was said to have hair like eagle's wings and nails like bird's claws. He was a *great eagle* because of his stature. As a tree he rose high above all. And yet the passage indicates that in his debasement to the state of a mere animal he was to be humanized, or given a human heart. That is also what Dan 7 indicates. Dan 4.16 and 7.4 correlate. At any rate, the most important thing is not the national symbol, but rather, God's depiction of a particular power. A griffin better befits Babylon in my view, as compared with the bear, which better befits Persia. The leopard does great justice to depicting Greece. And the unmentionable 4th beast would, of course, be Rome. It was not localized, but all-encompassing. It defied beastly description. I'll leave that to the experts. Your application of symbols to these powers fit your preconceived interpretation of what the symbols refer to. I see the symbols as uniquely fitted to Babylon, Persia, Greece, and Rome. It isn't about national symbols, or even the gods they worshiped. Rather, it is about the characteristics of their predatory skills. Wow! Daniel was humble, but he was simply putting down the visions God gave him from Chapter 7 onwards. Also the Babylonian empire only lasted from 626 BC to 539 BC, and some would say really it was only from 612 BC when the Assyrian empire was overthrown by the alliance of Babylon and the Medes. Daniel lived through the ENTIRE Babylonian empire. Further there was a major change from 603 BC with Nebuchadnezzar's dream to 553 BC, which was the start of the last person to rule from Babylon. So to IGNORE CONTEXT is incredibly foolish. As it clearly states this was FUTURE rising, so it is clear for Daniel it was future. I pointed out the false position this is, as we have the 3rd beast also with wings, so are you arguing Alexander was afflicted like Nebuchadnezzar? Dan 4:25* that you shall be driven from among men, and your dwelling shall be with the beasts of the field. You shall be made to eat grass like an ox, and you shall be wet with the dew of heaven, and seven periods of time shall pass over you, till you know that the Most High rules the kingdom of men and gives it to whom he will. So the comparison here in the prophecy is with an OX! Most certainly NOT with a lion or eagle. Here again the point is made that he was like an OX! Dan 4:33* Immediately the word was fulfilled against Nebuchadnezzar. He was driven from among men and ate grass like an ox, and his body was wet with the dew of heaven till his hair grew as long as eagles' feathers, and his nails were like birds' claws. So the description is that of an OX and NOT a lion. Moreover it was the LENGTH of the hair was as LONG as an eagle's feathers, NOT that it was like eagle's feathers or that it was like eagle wings. The claws were compared to a birds claws, which is NOT what we have in Daniel 7 beast. No source for the claim about Babylon, it is true that the near east did have Lamassu, which was a deity with normally the body of a bull, but also sometimes a lion. However this was not a Babylonian deity. Why? You can look at pictures of the gate yourself and see. Actually I first looked at what symbols are found in those kingdoms. We do find symbols used for lots of nations and different places, so I realised that looking at symbols alone would not give a satisfactory answer. My interpretation is simply based on the CONTEXT of Daniel 7, when it was said, what the situation was and the actual words IN the prophecy. However like most you prefer a PRETEXT interpreting things FIRST through the lens of a similar passage. That seems to be your method of hermeneutics and as long as you do that then there is little chance of agreement. I prefer to ALWAYS understand CONTEXT and use that as the basis for my understanding. The book of Daniel isn't in chronological order.
" Belshazzar the king made a great feast to a thousand of his lords, and drank wine before the thousand. so you have Nebuchadnezzar, Belshazzar , Darius and Cyrus. this ends Daniels story, and the chronology. Then comes the section of his prophetic dreams. It's not a continuing chronology, but is two distinct sections. .....his visions took place during the times of the first 6 chapters .while those kings successively reigned. Just wasn't sure if that helps....regarding the timing of the visions. Understanding the chronology IS important. What you should have noticed though was that Dan 1 - 6 seems to be chronological, and Dan 7 - 12 is chronological. Further Dan 7 doesn't happen until AFTER Dan 4 has happened (which is the LAST direct mention of Nebuchadnezzar). Further note that the Head of Gold is stated as DIRECTLY being King Nebuchadnezzar, so with him out of the picture, it becomes clear that Dan 7 onwards is NOT about Babylon. What is also not clear in the English is that Dan 2 to Dan 7 is in Aramaic, whilst Dan 1, 8 - 12 is in Hebrew. This points to Dan 2 - 7 being about what happens with Gentiles, whilst Dan 1, 8 - 12 has its focus on the Jews (within the wider context of what happens to the Gentiles). It is also good to note that in Daniel, Darius' reign is considered separate to that of Cyrus. We know from other sources that Cyrus conquered Babylon, but it seems according to Daniel that Cyrus wasn't reigning over Babylon initially, but rather a Mede was given that role, possibly due to internal politics or family relationships. For me it is crucial to note that Dan 7 happens 50 years after Dan 2, and is written about/for the Gentiles. It takes the story on from what the situation was when King Neb was in the picture. Dan 5:29* Then Belshazzar gave the command, and Daniel was clothed with purple, a chain of gold was put around his neck, and a proclamation was made about him, that he should be the third ruler in the kingdom. Why was Daniel made the third ruler and not the second?